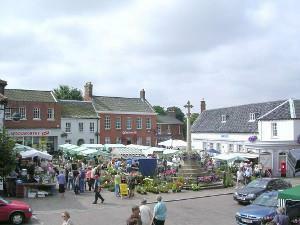 Fakenham TownThe archetypal North Norfolk market town, Fakenham's history was shaped by the gently rolling landscape around it. The town grew servicing the farms and estates of northern Norfolk and in its 1920s heyday, when rail links were excellent, Fakenham's livestock market was one of the most important in Britain. The Corn Hall and flea market have been important local trading centres for 140 years. Now it is well-placed on the main A148 road from North Norfolk to the rest of the UK, and a convenient crossroads for visitors from the Midlands and the South. Though its significance to the farming industry has waned, auctions and markets are still important to Fakenham's livelihood, appealing to a new kind of bargain-hunter. Fakenham sits on the National Cycle Network and is 10 miles south of the pretty coast around Wells-next-the-Sea and the fashionable getaway of Burnham Market. It is the home of Fakenham Racecourse, where National Hunt meetings are held from February to December. The archetypal North Norfolk market town, Fakenham's history was shaped by the gently rolling landscape around it. Pensthorpe Waterfowl Park, home to one of Europe's finest collection of endangered and exotic waterbirds, is located in the beautiful Wensum Valley on the edge of town. With accommodation of all types to be found in and around Fakenham, the town is a great base for exploring North Norfolk whatever time of the year.